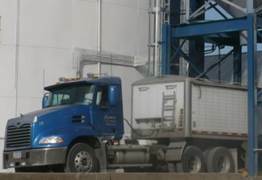 Farmers Elevator & Exchange has just over 4.1 million bushels of storage located a short distance from multiple grain terminals in Southeast Iowa including Grain Processing Corporation in Muscatine, IA; Bunge Grain at Meeker’s Landing; and Big River Resources West Burlington, LLC. Customers have the advantages of grain storage, grain bank for feed corn, several contracting options, and custom drying. Please click here to visit our Cash Bids page. For further information about Farmers Elevator & Exchange’s grain policies and services please contact our Grain Merchandiser, Scott Masters, at 800-820-2723, 319-523-5351, or by email.